We often hear that sharks are “nasty”, when comparing them with “gentle” dolphins. Animals are neither gentile, nor nasty. In order to let people know a little bit more about these incredible animals, TENDUA presents, in this dedicated file which will be completed as one goes along, some of these magnificent animals encountered during our journeys. As such, TENDUA thank the photographers who were kind enough to give their images to illustrate our comment. Firstly, don’t forget that sharks are indispensables to the balance of our oceans. But unfortunately they are extremely threatened either by the practice of ‘finning’, the accidental (or not) overfishing, the sea pollution, a late sexual maturity and a low rate of reproduction… We would like to participate to the “sharks’ rehabilitation” in the people’s mind and we sincerely hope that we won’t have to classify sharks as extinct species. 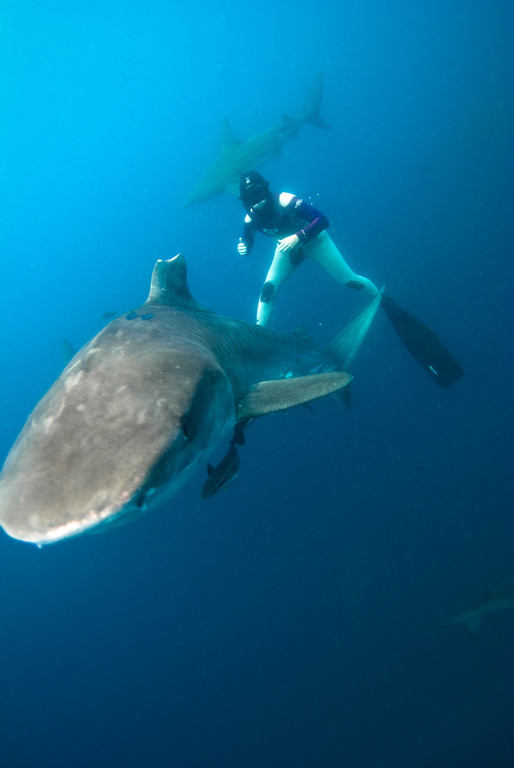 During the following overview, we will cover the points listed below, and to follow the last news about sharks, go on http://www.protection-requins.org. Enjoy your reading! You are here >> Home > Our Projects > Sharks: badly loved because they are badly known?